Steven Gerrard and Rangers were last night reeling from the untimely collapse of the previously ‘done deal’ negotiations to secure Motherwell’s rising star winger Jake Hastie. The deal, thought to be a stunning £15,000 a week to bring the Scotland U21 attacker to Ibrox, was reported to have completely fallen through with Rangers pulling out after claims Motherwell and the player’s agent were causing the negotiations to ‘drag on’, a course of developments which were frustrating Steven Gerrard deeply. The forward had been mooted as a first-team starter, with the left winger joining Jordan Jones and possibly Ryan Kent as wing options for either flank, in concert with the returning Jamie Murphy and stalwart Daniel Candeias, but the move appears dead now, unless the media reports from Glasgow’s Evening Times’ Chris Jack are completely false. 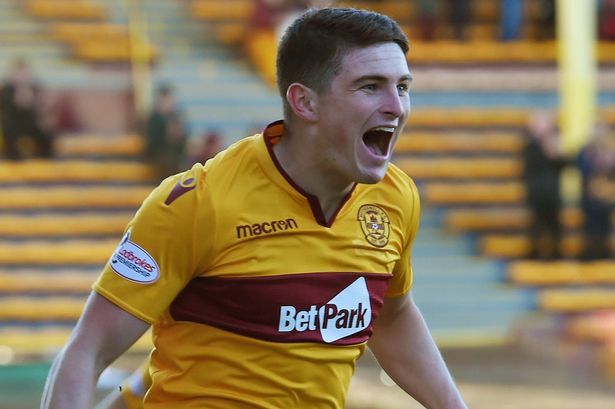 Hastie is one of Scotland’s rising stars, and evidently he’s attracting all sorts of interest, especially down south, and the chances are that his agent would wish to secure an even more financially lucrative switch to England’s Championship. That may well be what now happens. Time will tell if this one resurrects itself but it’s not looking good. If we continue to chase and sign sub standard average players, we will continue to have a sub standard average team! We have to raise the bar in the calibre of player if we are to prevent them getting 10 in a row. I still don't think Gerrard will get us there. His January window proves he cannot select the right player for the Rangers jersey who would improve our team! Same shite, different season! and nothing to suggest it will get any better next season!!! He was a young player with potential nothing more .If his agent was messing about using us and trying to bump the wages up then we are right to walk away .£15k a week , no chance .Turnbull would be a better buy anyway.